Justice is at stake, the 71-year-old democracy icon warns, as the ruling party seizes more power. 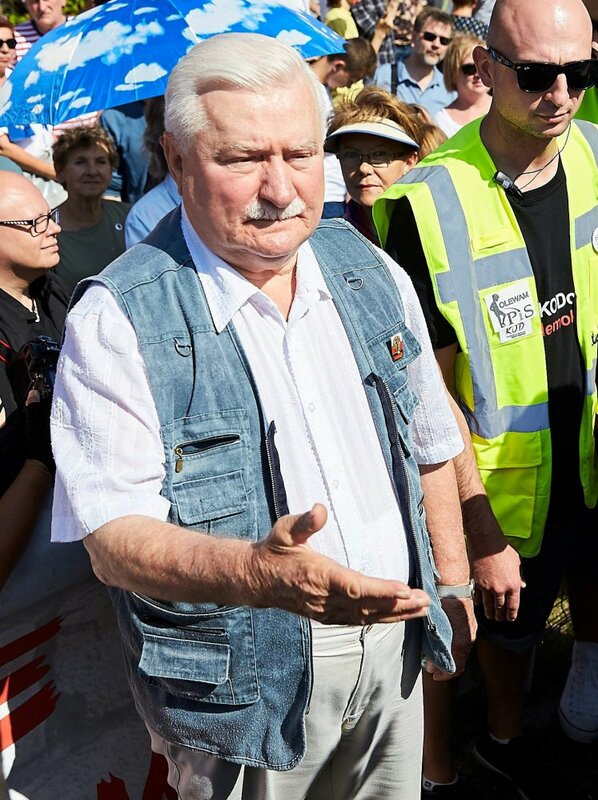 WARSAW, Poland — Polish democracy icon and former president Lech Walesa on Saturday joined the protests that have broken out across Poland over plans by the populist ruling party to put the Supreme Court and the rest of the judicial system under the party’s political control. The European Union says the changes would mark a dramatic reversal for a country hailed as a model of democratic transition over the past quarter century, and move Poland closer toward authoritarianism. The ruling Law and Justice party defends the changes as reforms to a justice system that party leader Jaroslaw Kaczynski says was never properly purged of former communists after that political system collapsed in 1989. Walesa addressed protesters in Gdansk, his home city, where he led strikes in the 1980s against the then-communist regime that eventually toppled the government and ushered in democracy. The 73-year-old Walesa recalled those democratic changes, saying that the separation of powers into the legislative, executive and judicial branches was the most important achievement of his Solidarity movement. “You must use all means to take back what we achieved for you,” he told a crowd that included young Poles. The 1983 Nobel Peace Prize winner also said he would always support their struggle, words that appeared to rule out any leadership role for him in the protests. Later Saturday night, crowds of thousands began to form in Warsaw, Krakow and other Polish cities. Some people held up placards with the word “Constitution” – a reference to accusations the governing party is destroying Poland’s constitutional order.